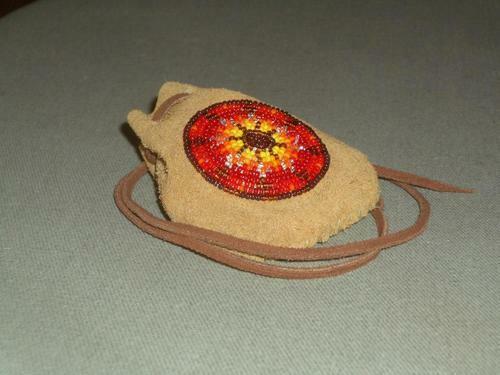 "medicine" bag made from elk hide and glass seed beads. designs in the medallion shape evolve on their own as the circle widens. 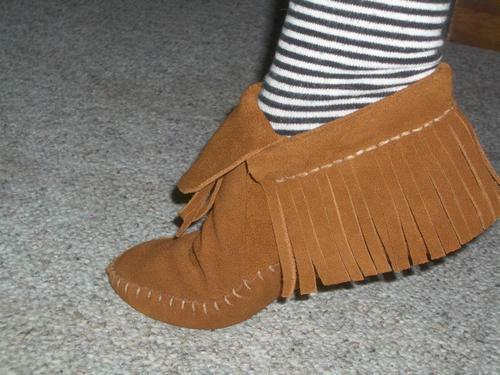 custom moccasin boots. bison hide and oil tan cow hide w/raw latex outer soles. 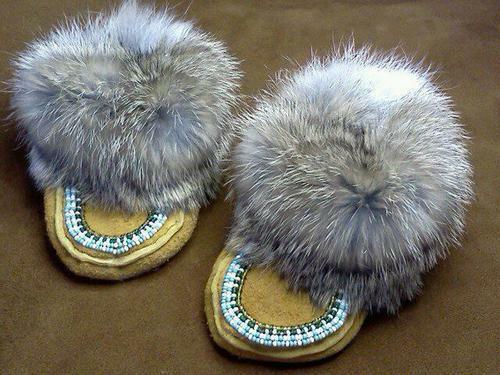 "unpatterned" baby moccasins. elk hide and rabbit trim. microfleece lining sewn in for cozy warmth. not just for babies! 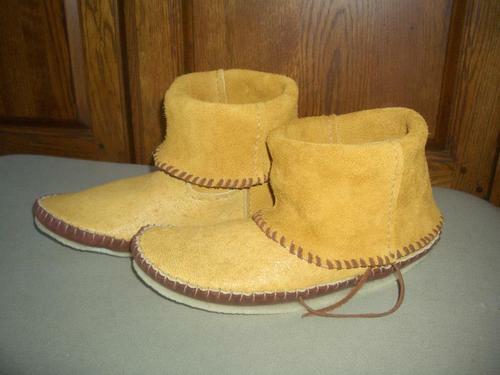 plains style moccasin. adult sizes available from 4 - 12 men's and women's. 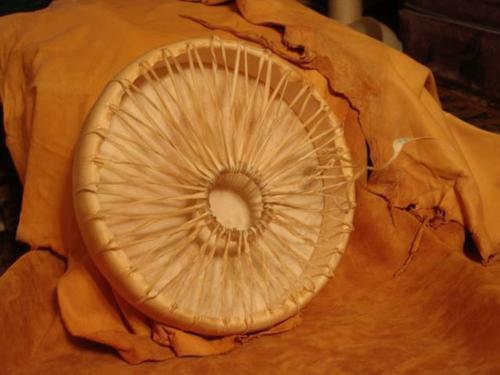 prototype of a drum made during fall ceremony, to represent the setting of the sun in the west. this drum was called "spirit of the west". teachings such as these are given during drum making workshops that are available by request. please email to inquire.